We need you! 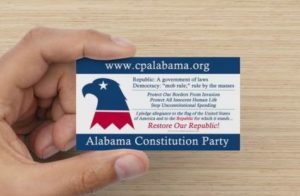 Grassroots volunteers are the heart and soul of the Alabama Constitution Party. Want to help pass out material, make phone calls, work a booth, or have new ideas on how you can help? If you are interested in volunteering for us, please fill out the following form or give us a call.